Hey there! My name is Mark and I am a Cognitive Science major at the State University of New York at Oswego. My main interests are Computer Science and Philosophy. I love thinking about thinking, and I am very interested in social media. I also love thinking about art, including movies, music and video games! Recently I had the pleasure of talking the school’s sustainability department, and I learned a lot about their role on campus, and why it is important to know what they do, as well as a few tidbits of information on the new science building and how students (just like you!) can contribute and get involved with these really cool guys on campus. Q: First off, a little background info for the readers. Who/what all does the sustainability department comprise? A: The sustainability department basically is comprised of 4 people. Q: What exactly is the scope of your organization’s activities? A: The sustainability office is responsible for facilitating the implementation of academic and engineering sustainability-related initiatives throughout the SUNY Oswego Campus. Additionally, the sustainability department is responsible for calculating greenhouse gas emissions, compiling the annual campus carbon footprint, and completing all mandatory reporting (e.g., Executive Order 4 & 88). Q: What were the things your department was responsible for in the design and implementation of the Shineman Center? A: Currently, the way the sustainability department has been structured by the college, Mike Lotito works both for sustainability and the facilities planning and design team. Therefore, we cannot solely claim responsibility for any of the sustainable features of the building, because we have always collaborated with the larger planning, design, and construction team. So, we had say in many of sustainability features, such as, the energy dashboard system, solar array, and geothermal system just to name a few. However, we were also a part of the larger discussion of heating and ventilation systems, lighting, plumbing, and controls which are not commonly thought of as sustainable features, but do contribute substantially to why the building is efficient. Q: How much of Shineman’s energy is produced through renewable means (i.e. wind, solar, geothermal, etc.) and can you provide a breakdown of how much each source contributes? A: This is a tough question, and honestly the building is so new that we haven’t received enough data to provide a comprehensive breakdown of individual energy contributions. Typically, those types of statistics cannot be accurately projected until there has been at least one complete year of post-occupancy commissioning. However, I can accurately give you the specifications of the systems. We have installed a 36 kW solar array on the roof, and the geothermal system is comprised of 240 wells which are all 499 feet deep. The plan is to use the geothermal system to both supplement heating and cooling of the building throughout the year. Furthermore, there are two experimental areas of green roof installed on the east connector and south side of the building totally more than 2,000 sq. ft. In the future, we are hoping to have a few electric vehicle charging stations and a small vertical axis wind turbine installed as well. Since I can’t provide you with the exact data you are requesting, here are some additional statistics we have estimated in contrast to the previously occupied buildings. Estimated to use 40% of the energy required to operate the old Piez and existing Snygg building, while Shineman is actually larger than the two buildings combined. Designed to generate 38% less waste water than Piez and Snygg combined. Designed to use 64% of the natural gas and 23% less electricity than the existing science buildings. The geothermal system utilizes approximately 44 miles of piping. Q: What is/are the best way(s) for students to get involved with the sustainability department? A: The best way to get involved is to visit our website, do-one-thing a day, and make suggestions for improving campus-wide sustainability awareness. Additionally, if you are a student that wants to contribute for sustainability initiatives on campus, you can get credit for doing so by enrolling in SUS101-ECO Reps. Here is more information on becoming an Eco Rep at SUNY Oswego. So, there you have it. If you ever have any questions for them concerning projects on campus or the like, you can also give the department a visit over in 165 Wilber Hall (located within the facilities design and construction office). They’re all very friendly people and are always happy to have a chat with a student! 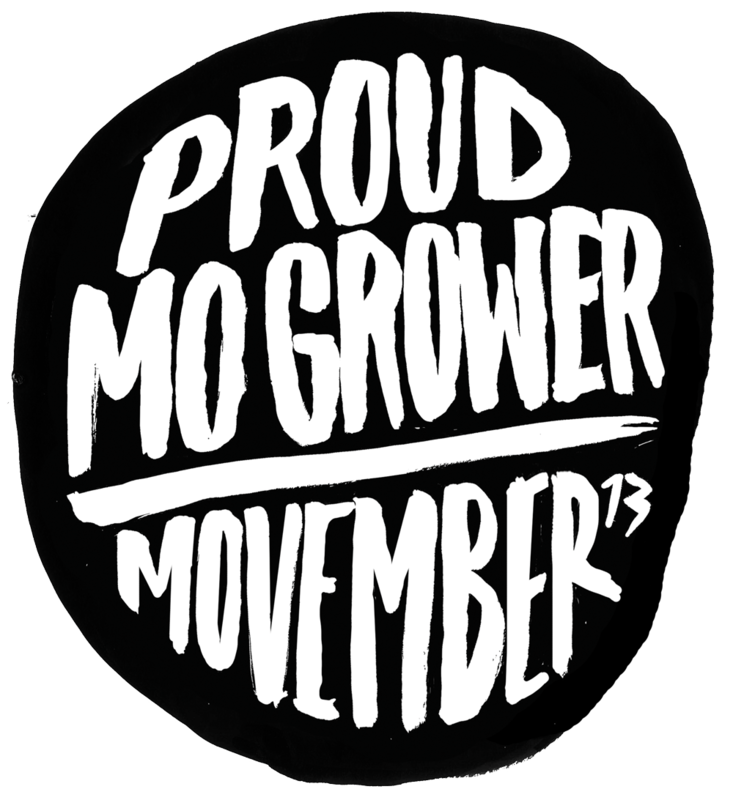 There is but one week left in this year’s Movember rally! “What’s Movember?” you ask? Check out this page to learn all about the campaign to raise awareness for men’s health issues (AKA prostate and testicular cancer). So, why am I posting about this? I’m on Oswego’s Movember team, of course! See? There’s me, with my beautiful Movember ‘stache. So, if you have a minute, check out our team web page; and if you can muster it, donate a few bucks for the cause! I mean, how could you not after seeing that pretty face? Last weekend, the campus showed it’s activist spirit at the annual Global Awareness Conference in Hart Hall, a HUGE event with speakers, demonstrations, and activities showcasing our college’s global spirit! It was a fun festival full of interesting mini-events, with the organizers running the gamut – from local speakers and professors to world-renowned activists. The keynote speakers this year were Gabriel Bol Deng, an activist and former Sudanese “lost-boy” who is working on educational and health programs in the newly formed South Sudan, and Jessica Minhas, a renowned humanitarian working on exploitation and abuse issues around the world through the use of new media. My club, Students for Global Change, gave a talk about the crisis in North Korea, and had visiting guests in the “Northeast Nomads”, a group of individuals who promote Liberty in North Korea (LiNK) and its cause to college campuses across the country. The Nomads showed a documentary about Danny, a refugee that LiNK helped rescue and start a new life. Shameless plug: If this stuff sounds interesting to you, feel free to come to Student’s for Global Change’s club meetings, Wednesdays at 8:30 in Campus Center 133, and join our facebook group to stay updated with what we are doing! Club Prez Sarah with the Northeast Nomads! To close out this post, I’d just like to take this opportunity to remind you, dear readers, that it doesn’t take much to be an “active citizen”, but it is a VERY important thing to be. Next time you walk through the campus center, don’t be discouraged by all the groups who seem to be asking you for money; go up to their tables and talk to them! Get to know them, and if you find that they are trying to raise awareness for an issue that you care about, ask how you can get involved. Dedicate time and energy to a cause worth fighting for – I promise you, its worth more than any amount of money in the world. Last weekend, I had the pleasure of attending a local engineering event open to the public (provided advanced registration was duly made online) called Hack Upstate, which this year, was held at “The Tech Garden” in nearby Syracuse. This was a gathering of bright minds from all over New York state, who got together with the sole purpose of seeing what kinds of crazy projects could be attempted (and even more, completed!) over the course of an ever-so-short 24 hour window. The word “hack” in the name might imply a certain affinity for computer programming, and while there were certainly a majority of code projects on display, the competition is not limited to them in any way. There were some incredible feats of electrical and computer engineering accomplished for such a short amount of work time, and that is just the tip of the iceberg! The purpose of the competition is to utilize existing technologies in interesting ways – apart from that, there are virtually no restrictions on what can be attempted. There were people from all walks of life present – even non tech-oriented types who simply had ideas they wanted to see realized. It truly was a melting pot for innovation. One group materialized a web-based game utilizing the popular Bandcamp website, wherein players could vote on randomly generated bands in order to find the so-called “best band on Bandcamp”. Another group created a website where stories are dynamically created by the users of the site – any user could add new branches or alternate endings, etc.. to an existing story, at will. Cool stuff. Now, this probably sounds like all work and no fun, right? Think again! Organized by the show-runners of Syracuse Startup Weekend, Hack Upstate is a less formal event that takes place twice a year, and is a rockin’ good time meant to encourage interaction amongst the participants in fun ways. It starts with idea pitching, where anyone can come up in front of the audience and try to sell their idea to everyone in the hopes of finding talent to help work on it. After the competition begins, its just a party, with practically unlimited pizza and subs and free reign to do pretty much whatever you want. (There’s even an award given to the most social/engaging group of the competition!) A few of us groups got together and decided to go to a local venue nearby and do work while listening to some live music – truly a memorable experience. Enjoying some jams at Funk N Waffles while coding away! Repping Oswego was myself and recent alumni Nick Poorman, a former Computer Science major and founder of Regattable, a startup operating out of the Tech Garden in Syracuse. Being a relatively new event with little publicity, it is understandable that not more of us techies from Oswego showed up. However, I am going to go ahead and use this as an opportunity to call on all tech majors at Oswego (Computer Science, IS, ECE, etc…) to bring yourselves and your “A” game to the next event in the Spring! So, join Hacker League today and keep an eye peeled for the upcoming Hack Upstate in Spring 2014. Hopefully I’ll see you all there! Any questions or comments you have about the event, its organizers, or who the winners were, submit in the comments below! Here we have it: this year’s Steinkraus Lecture! As science becomes increasingly intertwined in our everyday lives, it is ever more important to understand how it all works within the constraints of our society and culture. Heather Douglas from The University of Waterloo came to SUNY Oswego last weekend to talk about just that – the role of science in a democratic society, such as ours. Luckily, I was on hand to film the talk in case any of you wanted to go but missed it! So, here it is in it’s entirety and be sure to get a discussion going in the comments section below! You may not have known it at the time, but when you decided to come to SUNY Oswego, you entered into a sort of social contract. By making the choice to pursue a higher education degree, you have made the choice to be part of a community. The community you and I belong to is called SUNY Oswego. The most important part of your end of the contract is your obligation to go to classes and do the work for them, but there is another part of that contract which may not be so obvious: being a valuable member of your community at large. The college has multiple avenues for being active in the greater community, but there is one common thread which holds them all together: you. Without student members of the extracurricular organizations and offices, there would hardly be anything to write home about at this school. And while you may not think your role in whatever group(s) you are a part of is particularly important, it most definitely is. If you take these bits of advice and try to behave more like a leader in your organization, you might see it spring to life and gain more influence and credibility in the community at large. We’ve heard it a million times, but it can’t be stressed enough. If you know what you are talking about (or at least act like you do), people are more likely to listen and believe. But this isn’t about just being outgoing for no reason; I mean to say that if you work hard on something, it will show in the way you talk about it. So, sometimes it isn’t enough to talk the talk if you don’t have something good and tangible to back it up. This appears to me to be one of the most common problems facing young student leaders. It is very difficult to set aside time for something when the first thing you learn about college life is the breadth of opportunities and activities available to you as a student. But if you can hone in on a few things and really set aside the hours for them, you will soon find people looking up to you and appreciating your effort and dedication to your club or activity. If you can find some solid, meaningful, and well-defined goals for your time here at SUNY Oswego, you’re already two steps ahead of the competition. A good way to do this is to start big and work your way down. Find a few broad goals for yourself and compartmentalize them into smaller, more specific tasks, and keep working your way down more and more until you have found yourself in the possession of a set of tasks that are very easy and not stressful individually. 4. Enjoy what you do. Most importantly, don’t force anything upon yourself. If an activity is not naturally part of your life, you might find yourself often unmotivated to pursue it. This may seem like common sense to some, however I can say from personal experience and first hand observation that it is very easy to feel the need to do something simply out of obligation to friends or maybe because you feel forced to. The trick is to enjoy helping others in the ways that you most easily can afford to. Hopefully some of these tips stick with you throughout your college career, and hopefully I have helped you make some connections in your mind on what it truly means to be active and a good member of your community. This is an important skill set, one which will greatly enhance your personal and professional life – after all, that’s what we’re going to college for in the first place, right? The end of the semester is almost upon us, and yet I’ve felt its ominous presence since day one. This has by far been the busiest three and a half months of my life, and I’d like to tell you about it. My previous three semesters here at Oswego I feel had been building up to this one. Those were practice, this is the real deal – vice president of a student organization, pulling it up from the ashes (with the help of 5 great friends! ), 5 upper division courses, 3 QUEST presentations, and one vendetta to make a real change in school policy later, it’s almost over. I’ve made more Prezi’s and pushed more code to Github in this one semester than I have in my entire life before it. And through all of this work, I’ve seen an alternative perspective, the other side of the coin on an important life issue: balance. It all started at the end of last semester, when Students for Global Change was in shambles. The officers had stopped coming to meetings, and worse, had entirely given up on the organization without telling anyone. I had been sitting at the club table that semester (since no one else wanted to), promoting my policy proposal for a change in how we handle public art on campus. All of a sudden, I was asked to help get the club organized and back on track. This was no easy task, but I managed to gather a ragtag group of friends to help me out and act as my officers. Since then, I (along with them) have been working nonstop to bring this club back to life. It exists for a good reason, and we showed that to a lot of people on campus this semester. We worked really hard with absolutely no budget to put on a weeklong series of events for Mother Earth Week, culminating in what was possibly the most anticlimactic tree planting ceremony ever put on for Arbor Day. But, what is important is that the tree was planted. It was difficult, but we got it done. The week previous was QUEST week. Many students are unaware of exactly what QUEST is, which is a shame; thankfully, however, just as many not only are aware, but are active participants in that day-long celebration of knowledge that we share with our community every year. This year, I presented two class projects and my own public art project, and in between presentations I manned a table at the sustainability fair, which was also happening that day. In between my long nights working on classwork this semester, I spent my days making connections and pushing for a real change in the way this institution treats the visual arts. After lobbying Student Association all last semester, I focused my efforts this time around on the faculty and the administration, asking them to think about making a change. And while significant progress has been made, the lesson I’ve learned is that I am only one person, and I can’t do everything – as much as I would like to. I quickly realized that I do have limits to my energy and ability, and I quickly became overwhelmed and exhausted for the first time since arriving at Oswego after being here for almost two years. Before coming to Oswego, I believed my problem was that I didn’t want to work enough. Now I find myself a workaholic, and am stressed out in the same way, just for a different reason. I was one way before, and now I am on the opposite side of the spectrum. An interesting side effect is that by having experienced both ways of life now, I can more clearly see the center that I need to be at. So, my friends, if I can give you one piece of parting advice this semester, it would be this: find your own personal balance. Find a way to do some things that interest you, and do them well. If you focus your efforts, you will find a new kind of freedom that is better than any other: a mental freedom from yourself. Thanks for reading, and may you find something insightful or meaningful from this post and from your studies at SUNY Oswego. Good luck on finals, and have a great summer break everyone! Whether you are a fan of Syracuse basketball or not, it’s hard to deny the appeal of watching them play in one of the biggest annual sports events in the nation. Many of you here in Oswego will be throwing Final Four parties for your groups of friends, and I hope to make the planning a little bit easier with a few suggestions for a great Saturday evening! Ask each person/group attending to bring one snack or appetizer. Share the workload, and share in the fun; it’s a win-win! Have some games themed around basketball or the tournament to keep the party going during the time-outs. Have each guest make a prediction including the winning team and the final scores, with the closest to the final outcome winning a small prize, such as a piece of NCAA or SU memorabilia. Don’t forget to designate drivers for those who are planning on consuming alcohol! Above all, have a fun time this weekend and enjoy the games. If you think there are any essential party tips I might have missed, be sure to comment below! Maybe you knew, maybe you didn’t, but QUEST presentation submissions are due TOMORROW! For those of you not in the loop, QUEST is a fun filled day during which classes are cancelled and students and faculty alike go to presentations/workshops driven by the members of the SUNY Oswego community. Chances are, if you are a student and you completed a significant project for a class or internship, you can present it at QUEST. You might even just have a personal project or idea you’ve been working on, and this might be approved as a QUEST presentation as well. Don’t overwhelm people with information! If you can present your ideas in a concise manner that ideally can be explained to a 5 year old, then you’re doing it right. People love to see ideas in action. Especially, quick sample-usage scenarios work wonders. You don’t have to be formal, but style is always a plus. The first thing audience members see before you start talking is your outfit, and it might just give them something easy to remember your presentation by. 4. Make sure it’s Oswego related. QUEST is a day to show off what Oswego does throughout its busy year, and this includes the town as well as the college communities. If your project is one that seeks to bolster some aspect of the local community, it will all the more easy for audience members to relate and enjoy your presentation! This, brought to you in video form, by the great people of TED. What are you going to present at QUEST? Give it a shout out in the comments below! QUEST is coming April 17th – Are YOU Ready? What all was involved in putting the Rail Jam together? In other words, as a club, what steps did you have to take with the school administration and with outside people and organizations in order to set up such a big event? Mike: The Rail Jam is a huge event and took months of planning. As Mac said the majority of the approval process took place last year so this year was a little easier. We just had to confirm with all the same College Officials and departments that we were putting the Rail jam on again and taking the same steps as last year. This year we had to deal with a couple of new Officials so it was a little difficult getting them on the same page as us. Once we were approved by campus we went straight to planning the day out. Getting everything prepared and ready to go. We worked closely with LifeStyles, WYNO, Red Bull and of course the Ski Club. We really coordinated everything right down to the pinpoint. Our club worked very closely together and we jumped through every obstacle together. Mac’s answer really covers a lot of what we had to do. Dealing with the school, insurance, clubs, money, grounds and much more. Mac: Most of the approval process really took place last year. It was one struggle after the next. First we had to really determine who we should be asking permission from, and we could never seem to end up in the right person’s office. It was as if nobody wanted to give the thumbs up to the event in case something went wrong. Finally we landed at Campus Life, and after many meetings with the director of campus life and the Student Association Director of Finance, we came up with a long list of things we had to do before we could throw the event (and we were running short on time). S.A. didn’t want to let us have the event on their insurance policy, so we had to purchase a one-day event insurance policy from an outside agency, which we did not have money for. We networked with WNYO and they ended up paying for the insurance and also providing the music for the event. We had to buy and make all of the rails and boxes ourselves, which was expensive and also another challenge to coordinate with the technology department on that. We had to pay for a U.P. officer to attend the event for “crowd control”, and we had to have SAVAC on standby in case something went wrong. The other major coordination effort was with grounds crew. Last year we were affected by one of the lowest snow seasons on record, so it was very challenging to find enough snow. Fortunately grounds grew helped us move snow around campus, put it in the pile where we wanted it, and helped us shape it. We absolutely could not have done it this year or last year without them. We also relied heavily on the Lifestyles Center for on-campus promotion. This year we did things in the same way, but we didn’t have to go through such a painstaking approval process. We still had to follow all the same steps, but this time we knew what to do, so it was much less stressful. We were able to put more attention into things like promotion and the kind of frills that made this years Jam better than last years. The most challenging part this year was probably just coordinating with people who were new to the event and did not know the extent to which their organization helped out last year. We split up the duties very evenly this year which took a lot of weight off of everyones shoulders and made a lot more possible. Ted, what did you and lifestyles contribute to the Rail Jam, as opposed to the Ski and Snowboard Club guys? Ted: We really just helped to make sure the rails were taken care of, we helped with painting them to make sure it all looked good. We helped with logistics stuff, we were really more in the background this year. Last year we helped [ski and snowboard club] navigate the system, and now that they know what is going on they can take control, which I like. What challenges or difficulties did you face this year in putting this on? Mike: As always challenges are always waiting around every corner. I would say that one of the harder things this year was taking over for Mac. Mac devoted his life to this event last year and ran everything really well. With him student teaching everyday we really had to coordinate with him and try to find time for all of us to meet and set things up. The event just really takes a lot of time and planning. Trying to work with people who don’t really understand your idea really makes things harder. Also our school has processes which can make things really difficult when trying to put events on. We ran into a couple of major problems with insurance this year but we were able to work everything out. The event flowed really smoothly and without the grounds crew and our hard working officers this event wouldn’t of been possible. Mac: The challenges this year were more about trying to coordinate with one another through all of our busy schedules. Last year it was usually me who was sitting in the meetings, writing up the documents, and coordinating with different groups. But this year we split up those responsibilities so we were always having to talk with each other and meet to make sure we were on the same page, and with me gone every day student teaching and the other officers on their own busy schedules that got to be a challenge. Ted: Honestly, this year felt so easy; it was completely stress free. When it was all done, I was waiting for that feeling of “thank god it’s over”, and I realized it wasn’t coming, because I was never at any point feeling that things were out of control, that things weren’t going like they were supposed to. And especially after last year – there were political hurdles, there were insurance problems, and once all that was solved we needed snow – this year all that stuff was taken care of. It was really cool! What recommendations or advice would you make to other students and organizations wanting to set up large events like this? Mike: Just go for it. Try to team up with other organizations and really use your connections to get things done. Ski Club has such a large member base that we are constantly networking to coordinate and get things done. This was a huge help when trying to promote the event and get the word out. But like I said before, just go for it. Make it happen and don’t take no for an answer. We planned this event for three years before we finally got approval. We worked harder and harder each year at it and really lifted it off the ground. Anything is possible and with some dedication and hard work a person can achieve anything. To think that just an idea starting with 4 officers turned into such a large event. The coordination and the turnout was amazing. Mac: Dig your heels in then you meet resistance, and jump through whatever hoops you have to. You will develop yourself so much as a group leader and an individual. Learning how to work within the college system is an incredibly useful skill to have. For all the work we put in, it is absolutely worth every second of it to see the results. Do what you have to do to bring the things you love to the rest of this college community. Ted: Don’t give up on it! I think that for this one, the biggest hurdle was that people didn’t understand what it was, and now that people know what it is, I think that it is going to be something that happens every year that is going to be celebrated. If the ski club had given up after being shot down the first time, it never would’ve happened, so that persistence is huge. Plans for next year and for future events? Mike: We want to go bigger and better every year. More people, more clubs more features. We want this event to be a hit across campus. We want everyone to be talking about it and see what an amazing event this is. We really need the school to realize the impact our club has on this campus and try to work with us to make things easier. According to admissions, our club is the most popular trending club across campus. We have the largest active member base over any organization and pay the most out of pocket expenses. We put on one of a kind events and do a lot of the work on our own since the school doesn’t give us the largest budget. I want our club to be recognized across other campuses and I want them to be like wow, look what they just did! Mac: With a solid foundation and a couple of successful events under our belt, now we are stretching out each year to see what else we can bring to this event. A few ideas we are bouncing around are trying to expand the competition to include riders from other schools, bigger and better prizes, vendors and board shops and ski mtns representing at tables, possibly even doing the event at night with lights. These are all just ideas in the air right now, but with the right drive we could definitely try to bring them in the mix. Ted: I think that we want to try and make it bigger and more challenging next year, have more features. There’s been talk with the ski club about trying to do a big air or aerial trick competition, which I think they would do out at Fallbrook, but we’ll see what they end up doing with that. We definitely want more people out there and we want to make it a big event.